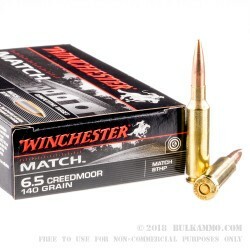 If your goal is tight grouping at 1000 yards, this 6.5 Creedmoor ammo by Winchester has the power and the accuracy you need to reach your goals. The 6.5 Creedmoor caliber first appeared on the market back in 2007 as a top shelf match round, and Winchester has developed their own version to push the competition to the next level. 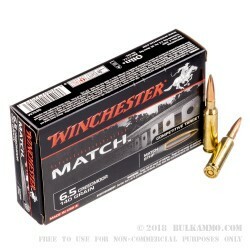 Winchester chose a 140 grain hollow point boat tail (BTHP) match projectile for this premium match ammo. 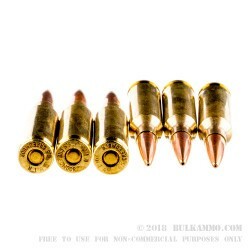 These projectiles typically produce a muzzle velocity at around 2710 fps. The BTHP will slam into steel targets with a heavy energy transfer, and the natural expansion of the bullet style is effective for hunting medium size game. 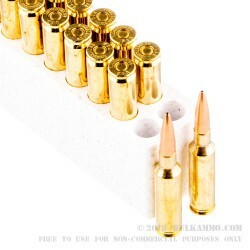 These cartridges are built using Boxer-primed brass casings that you can reload once spent. Winchester used their 150 years of manufacturing experience to put their signature spin on the 6.5 Creedmoor. Order a few 20 round boxes today and test it for yourself!